"Laws alone do not protect the memory impaired"
can, at times, be out of touch as it relates to the increase of Alzheimer's and dementia. Our system may not give adequate protections to a person with this disease from unscrupulous family, caregivers and the criminal element. to combat current inadequacies of the law so the memory impaired are protected. It’s often too late once a family member or caregiver starts taking financial and emotional advantage of that person. It's reported that over 15% of memory impaired people are financially abused because they are overwhelmed with paying bills, remembering PIN's and passwords at ATM’s, property and investments. This is when they are most vulnerable. Planning ahead before Alzheimer’s becomes serious so that each family member and caregiver has a specific role to follow the wishes of that person while they can still clearly make decisions. Do it early before the disease impedes cognitive brain centers. The time to protect the memory impaired is before that person is significantly affected. And that requires special legal steps beyond a standard Will. familiar with mental impairment as it relates to writing the initial Will and Trust, and Powers of Attorney. A person must be found “sound of mind” to even allow them to decide what they want to do with their affairs. If there is any significant impairment, the court should appoint an impartial legal executor that will make recommendations to the court about how the estate will be handled. ALL parties must be involved and legally represented for a fair and impartial outcome for the person that is impaired. Impaired person needs their own attorney representing only his or her interests. This attorney cannot be under the control or influence of any party seeking control. Ernie Banks, a legendary baseball star, like many people with dementia, became entangled with his caregiver. This caregiver convinced Mr. Banks to turn over the power of attorney to control Mr. Banks' financial affairs and final estate. While this ongoing court case is complicated, it appears that Mr. Banks' wife and family could be denied any right to his estate. As is often the problem, it will be very difficult to get the court to break Mr. Banks' final Will unless there is some very compelling evidence that Mr. Banks was incapable of making sound decisions. History tells us that not everything goes smoothly especially when there's money and property in the hands of people with Alzheimer's or Dementia. Who has the power of attorney? Who makes critical care decisions? Who gets to control that persons money and property? Waiting puts everyone at risk. By allowing the disease to render a loved one helpless before proper legal protections are in place, gives unscrupulous family members and caregivers an opening to take over the estate. Courtrooms are filled with emotionally charged cases to determine financial control and possible distribution of money from an estate. You need deep pockets, time and have a reasonable expectation of significant financial gain. Otherwise, going to court to stop someone that has gained the “upper hand” is a waste of time and money. Protecting significant assets and the wellbeing of yourself or a loved one is why you need to act early. Do your due diligence by researching proper legal council that understands today's issues involving mental impairment. When planning for difficult times such as illness, physical and mental disability or death, it's very important to have a plan in place to make those times easier, and help families deal with life’s transitions in a calm and orderly way. As we all age, it's crucial to have a plan to deal with issues such as estate planning and tax protection for us and our family. We want to know that there is a solid plan that conveys our wishes and desires regarding personal care, living expenses and inheritance, while protecting our lives so that there is minimal controversy, and as little involvement as possible with Probate Courts when that time comes. Contact a reputable attorney experienced in estate planning, trusts, powers of attorney and especially the unique issues surrounding Alzheimer's, Dementia and memory impairment. Barry M. Rosenbloom learned a love for the practice of law by working with his father for many years. He was admitted to the Illinois Bar in 1978, and graduated from the University of Illinois College of Law in 1978, and received a B.S. Degree from the University of Illinois in 1975. 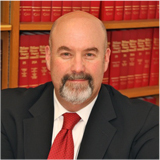 As an adjunct professor at The John Marshall Law School since 1995, he has published on a variety of legal issues.